Location Broadway between 44th & 45th St. Architect(s) J.B. McElfatrick & Co. It opened as part of an entertainment complex called the Olympia, and marked the birth of a new theatre district in the Long Acre (Times) Square area. 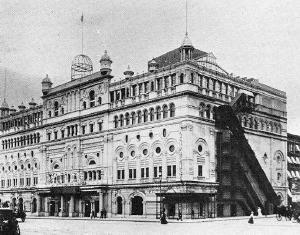 Hammerstein’s original idea was a palace of entertainment containing three theatres, a roof garden, billiard rooms, a bowling alley, a Turkish bath, cafes and restaurants. It was a project beset with difficulties, but ultimately two theatres opened in the building: The Lyric and The Music Hall. When Hammerstein sold the Olympia in 1899, The Lyric became the Criterion and The Music Hall became The New York Theatre. Joseph Haworth played The New York Theatre in 1900, in the leading male role of “Vinicius” in Quo Vadis. 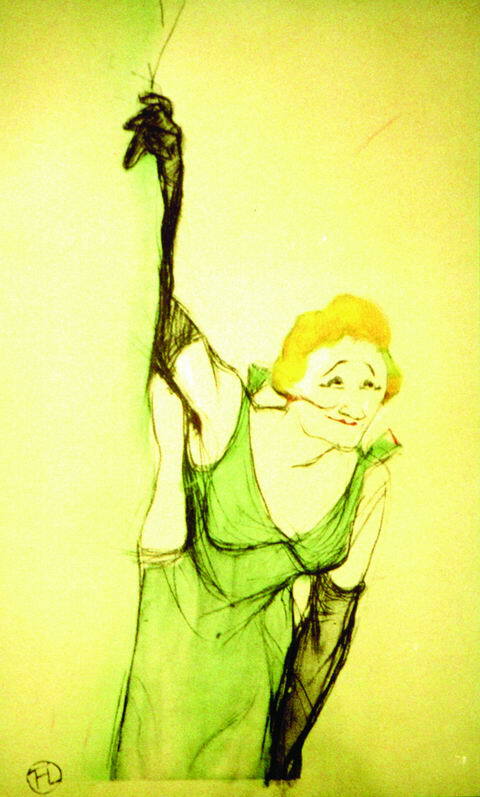 The spectacular production achieved a long run, and cemented Joe’s reputation as a bankable star of the Broadway theatre.